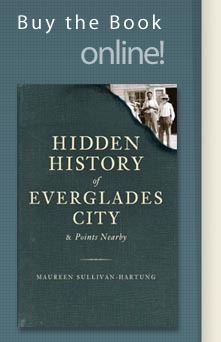 Friday afternoons from 3-4:30 p.m.
March 25th Maureen Sullivan-Hartung, “The Hidden History of Everglades City & Points Nearby” Stories of the area’s People and its past. April 9th from 3-6 p.m.
Fifth Avenue Design Gallery, located at 365 Fifth Avenue South - across the street from Brambles Tea Room. Stay Tuned...More Info Coming Soon! Saturday, September 3 - Book signing at Big Cypress Gallery during Clyde Butcher's Annual Labor Day Swamp Walk Weekend, 9 a.m. to 4 p.m.
Tuesday, October 25 - Presentation of book, followed by book signing at the Marco Island Public Library, sponsored by the Friends of the Library, 2 p.m.
Tuesday, November 15 - Presentation of book, followed by book signing at the Johann Fust Community Library, sponsored by the Friends of Boca Grande, 4-5:30 p.m.
Saturday, January 14 - Presentation of book, followed by book signing at the Barnes & Noble, Waterside, 2 p.m.
Tuesday, January 24 - Participant in Estates Elementary School's Literacy Week - presentation on reading and writing for the fourth and fifth grade students; followed by a brief discussion on my book. 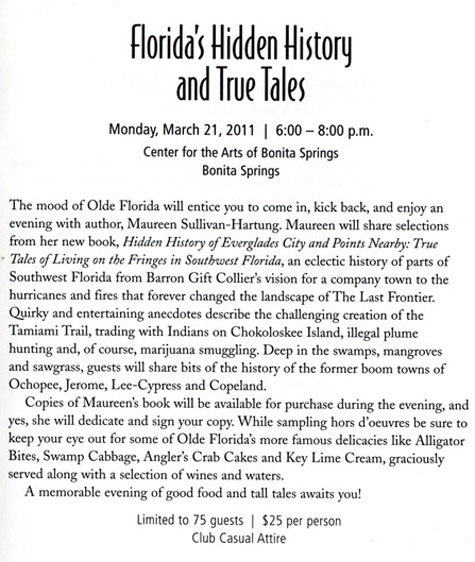 Saturday, February 4 - Book signing at 38th Annual Everglades City Seafood Festival outside of the Museum of the Everglades, 10 a.m. to 4 p.m. PRIVATE affair for members only. 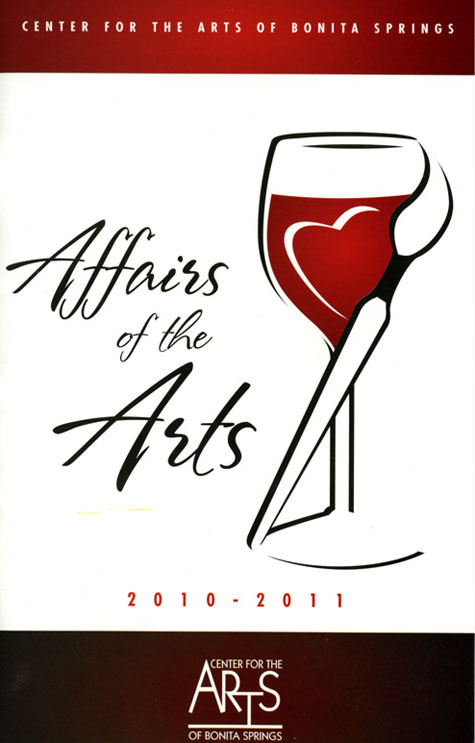 PRIVATE affair for students and their families.